Two fun events in one! 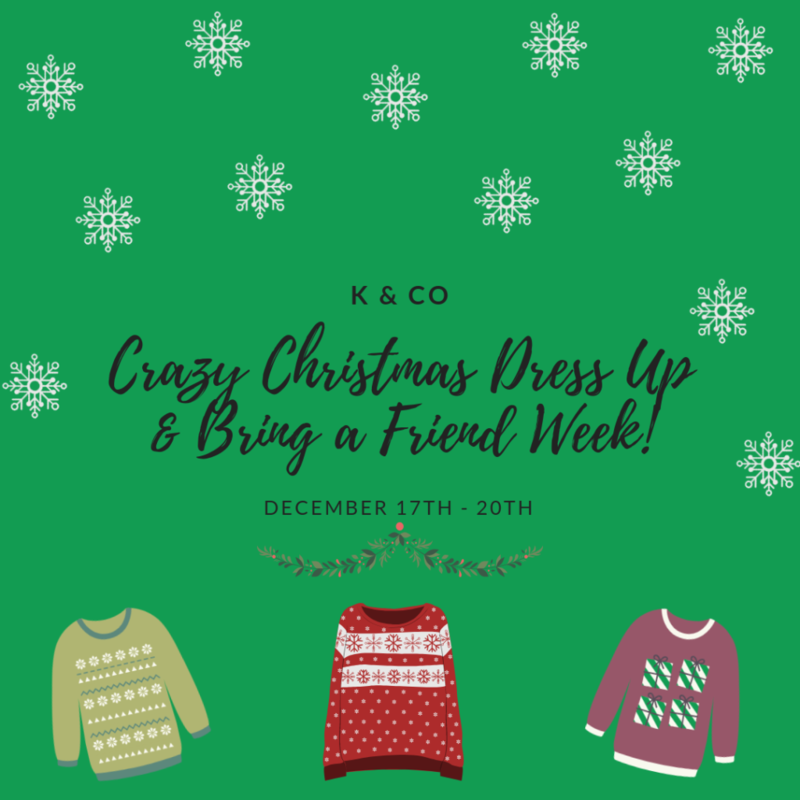 Crazy Christmas Dress-up Week is also be “Bring a Friend” week! Everyone is welcome to bring one friend to class to join in on our holiday dancing and fun. Students and friends are asked to wear their craziest Christmas attire to class (please make sure it is something you can still dance in). Even your teachers will be dressing up with you! We will also be having an end of class Christmas party this week! Your child is invited to bring snacks to share with the class (this is not required). Please see your child’s teacher for suggestions on what to bring and to find out how many are in the class. Please keep in mind that we may have extra students this week due to Bring a Friend week, so you may want to bring some extra treats for friends as well!